BAY CITY ROLLERS (pull-out poster), QUEEN, AMERICA, DOOBIE BROTHERS, DAVID BOWIE & CHER, RITCHIE BLACKMORE'S RAINBOW, JOHN LENNON, ROBERT PLANT, ERIC CLAPTON, MR. BIG and more!! QUEEN, KISS, LED ZEPPELIN, EAGLES, THE KINKS, THE WHO, DOOBIE BROTHERS and more! 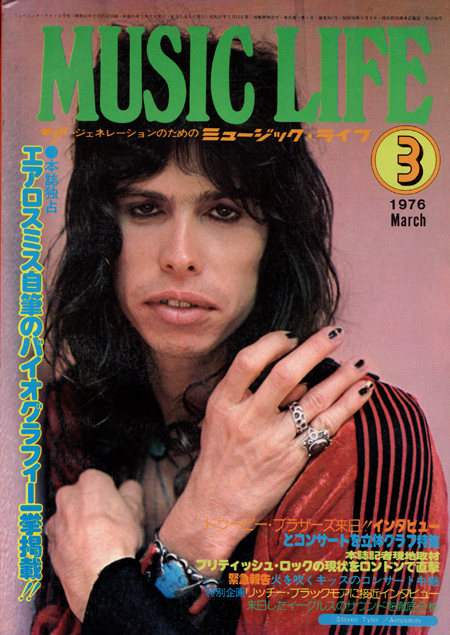 Click the button below to add the AEROSMITH Music Life (3/76) JAPAN Magazine to your wish list.